We are always fascinated by the many New Year celebrations worldwide. Ringing in the New Year gives us insight to other cultures yet shows that we all do have some common ground. Search Visible, Inc. wishes all of our clients, friends and family around the world a safe and prosperous New Year in 2010. If you can see the sky tonight from where you are, know that there is/will be a Blue Moon tonight to help us see clearly into 2010! 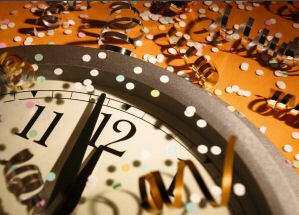 Set your clocks for a New Year’s Eve to remember – we hope to see you all soon!